Lifeboat Foundation Press Release: Lifeboat Foundation has been invited to speak at the Dupont Summit. Lifeboat Foundation has been invited to speak at the Dupont Summit. 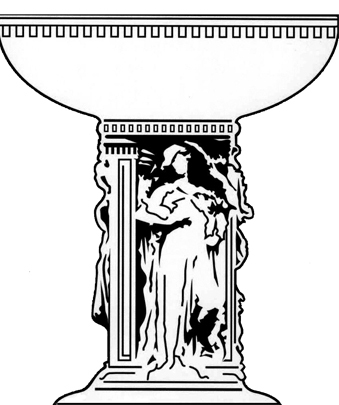 November 14, 2013 — The Lifeboat Foundation has been invited to speak at the Dupont Summit. The Dupont Summit 2013 will be held Friday, December 6th at the historic Whittemore House in Washington DC. The purpose of the Dupont Summit is to promote interdisciplinary dialogue about pressing issues related to science, technology, and the environment. The Lifeboat Foundation has accepted this invitation leading to the news article Lifeboat Foundation at Dupont Summit 2013 — Sci., Tech., and Environmental Policy. Dustin Ashley will be speaking about “Increase interest of emerging technologies within students and improvement within STEM education”. Kevin Berry and Anmol Singh will be speaking about “Lifeboat Foundation’s Response to NASA’s Asteroid Initiative Public Engagement Request”. Martin J. Dudziak will be speaking about “Workshop on the ‘Great STEM Disconnect and Divide’”. Paula Gordon will be speaking about “March 2011 Earthquake and Tsunami in Japan: Some Implications for the Safety of U.S. Nuclear Power Plants in Seismically Active Areas”. Jim Hamilton will be speaking about “Breaking The Nuclear Waste Impasse — Progress in the Face of Federal Government Inaction”. Keith Henson will be speaking about “‘Design to cost’ analysis of Space Based Solar Power”. Phil Ice will be speaking about “Surveying the E-Learning Landscape”. András Kornai will be speaking about “Language Death in the Digital Age”. Ed Liebow will be speaking about “Anthropological Engagements with Climate & Environmental Change: Whither Policy?” Arnauld Nicogossian will be speaking about “Technology and Global Health Policy: Focus Transportation Description”. Joseph N. Pelton will be speaking about “The Leadership Challenge of Cosmic Hazards and Planetary Defense in Modern Technological World”. Manuel Perez will be speaking about “Changes in Citizenship due to Technological Advances in Western Civilization”. Amalie Sinclair will be speaking about “US Space Policy for Treaty”. John K. Strickland will be speaking about “Development of routine and inexpensive access to space and space based solar power”. Willard Wells will be speaking about the “Survivability of Humankind”.